The Second ERBFacility General Meeting (GM2), the Third Management Committee Meeting (MC3) and a WG4 Meeting were held at La Specola Museum, Florence, Italy from 5-8 March 2019. Over 60 participants attended from over 25 countries that are Party to the Action. GM2 reviewed progress and discussed activities for the next Grant Period (GP3) running 1 May 2019 to 30 April 2020. The meeting received presentations from all seven STSM holders and WG leads. MC3 gave provisional approval for the work programme and budget for GP3. WG4 advanced work relating to the Field Arena. The COST Association today approved an amendment to the Work Programme and Budget for ERBFacility, providing an additional c. €48,000 to the Action for the current Grant Period 2 (to end April 2019). This will permit more participants to attend the planned meetings in this Period. 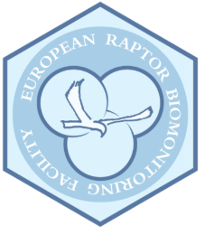 The First General Meeting (GM1) of ERBFacility was convened 19-21 February 2018 at the Institute for Game and Wildlife Research (IREC) in Ciudad Real, Spain. GM1 was attended by around 60 participants from 23 European countries (and Israel) including representatives from the European Commission, ECHA and EFSA.